SkySoft™ is made from 100% recycled fibers and meets universal guidelines for post-consumer waste content. 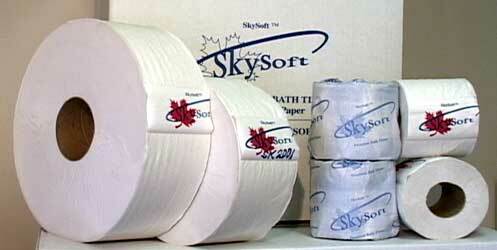 SkySoft™ tissues contain a minimum of 20% post-consumer waste and towels contain a minimum of 40% post-consumer waste. SkySoft™ towel and tissue products meet our customers’ needs for quality and performance. SkySoft™ products are compatible with many previously proprietary dispensers.